The event, held at Rick and Kay Warren’s Saddleback Church in Southern California, was hosted by the Warrens as well as Bishop Kevin Vann of the Roman Catholic Diocese of Orange and the Orange County branch of NAMI (the National Alliance on Mental Illness, a widely-respected mental health advocacy group). The line-up of speakers was diverse and impressive, including some of the most significant Christian advocates for taking mental health seriously, Matthew Stanford (professor at Baylor University) and Amy Simpson (author of Troubled Minds). I would like to share with you the more signifcants thoughts I had after listening to the sessions and workshops. 1. Mental health is as real and concrete as physical health and needs to be treated as such. If there was one unifying cry of the Gathering, it was an acknowledgment that mental illnesses are real. In acknowledging these illnesses’ reality, there was the corollary acknowledgement that they are like any other illness: concrete and requiring treatment. Mental illness was continually compared to physical illness: physical illnesses have natural causes and you ought not feel ashamed to talk about them and receive help. In fact, Baylor University’s Matthew Stanford went so far (and rightly so) to ground mental health in our physical bodies. The Church’s failure to address mental illness, he said, was when “we do not do the physical well.” Our brains and chemicals are parts of our physical body, and therefore require physical treatment. Stanford called out as hurtful and damaging those spiritual leaders who teach that you need to “just pray more” or are “in sin” when suffering from mental illness. Time and time again, speakers at the Gathering emphasized this point: the Church has failed people who suffer from mental illness, either through misinformation, ignorance, silence, or turning a blind eye to suffering. The rallying cry of the Gathering was really as simple as that: take mental health seriously. 2. It’s heart-breaking that taking mental health seriously is controversial. But it is. The 2014 Gathering on Mental Health and the Church was inspired by the suicide of Matthew Warren, Rick and Kay Warren’s son. • 41% were told by someone at their church that they did not really have mental illness. • 28% were told by someone at their church to stop taking psychiatric medication. • 37% were told by someone at their church that their mental illness was the result of personal sin. • 34% were told by someone at their church that their mental illness was the result of demonic involvement. The Church is not yet willing to universally embrace what should already be common sense. 3. If we’re going to take mental health seriously, we have to commit to it being as real and concrete as physical health. This means we have to let go of Jesus as cure. Jesus can be and is all sorts of things. But please, please don’t reduce him to the spiritual equivalent of Zoloft. That is offensive to both Jesus and Zoloft alike. Jesus will not supernaturally make your mental health better or easier to manage. What makes your mental health better or easier to manage is everything Jesus cannot do: psychotherapy, medication, and supportive care (the categories which Matthew Stanford specified as mental health “pillars”). Sure, a support group at your church may help you manage your bipolar disorder. But that’s your support group providing supportive care, not Jesus. Thank Jesus if you want for being the reason your church exists in the first place, but don’t pretend Jesus gives you the supportive care himself. They are completely different things. Don’t confuse them and don’t further that confusion for others. That confusion is rooted in and is a continuation of the idea that mental health is spiritual and not physical. That is a dangerous and shaming idea. We need to get rid of misinformation, not simply hold onto it with slightly fewer fingers. Physical healing comes to both Christian and non-Christian alike. So, too, can mental healing. Whatever “supportive care” the Church can offer to help Christians heal mentally, we cannot pretend that such care cannot also exist in some other form outside of the Church. The Church has no magical powers to heal mental illness. Jesus is not a unique therapy tool wielded by Christians. You may believe humans have spiritual needs. That is fine. But those spiritual needs are not the cause of people’s mental health needs, any more than a person’s cerebral palsy is caused by spiritual needs. Everyone has spiritual needs according to the Bible, yet not everyone suffers from mental illness (or cerebral palsy). There are non-Christians who have no mental illness and there are Christians who do have mental illness. So again, don’t confuse categories. If you are committing to the idea that mental health is as real as physical health, then you are committing to the idea that a person who has a Major Depressive Disorder and does not believe in Jesus will have the exact same Major Depressive Disorder after believing in Jesus — in the same way that a person who has cancer and does not believe in Jesus will have the exact same cancer after believing in Jesus. Belief in Jesus may bring emotional and physical side effects — joy, euphoria, hope, tranquility — to both the depressed individual and the individual with cancer. Belief in Jesus may temporarily minimize symptoms, in other words. But the illnesses themselves will remain. You treat cancer with cancer treatments; you treat mental illness with mental health treatments. Those treatments may involve the Church or they may not. But the Church’s involvement is not supernatural. 4. I do not want to share hope for mental health if that hope does not include the most vulnerable and impacted among us. My hope for mental health is not just for straight white evangelicals. Mental illness does not happen in a vacuum. It happens within contexts, and the most pressing contexts are the ones in which Christians are afraid to change. If Christians are going to tackle this issue, they cannot shy away from the contexts — for example, child abuse, LGBT* discrimination, and racism. Child abuse: When children experience neglect and/or abuse in their early lives, it primes their brains for future mental illness. In a Harvard study, researchers found “specific changes in key regions in and around the hippocampus in the brains of young adults who were maltreated or neglected in childhood. These changes may leave victims more vulnerable to depression, addiction and post-traumatic stress disorder (PTSD).” Yet the American evangelical church has a major abuse problem. Indeed, just last year Boz Tchividjian — Billy Graham’s grandson and founder of G.R.A.C.E., declared evangelicals are “worse” than Catholics on taking abuse seriously. LGBT* discrimination: Numerous studies indicate that LGBT* individuals “are likely to be at higher risk for depression, anxiety, and substance use disorders. One study found that GLB groups are about two-and-one-half times more likely than heterosexual men and women to have had a mental health disorder.” And you know what can reduce the risk of mental illness among these groups? Supporting them. According to the Journal of Child and Adolescent Psychiatric Nursing, “Specific parental behaviors, such as advocating for their children when they are mistreated due to their LGBT identity and supporting their teen’s gender expression, were linked to a lower likelihood of depression, substance abuse, suicidal thoughts and suicide attempts.” So will the Church fight for these kids? Or will it continue to do what Rick Warren has done: calling LGBT* individuals “evil,” comparing being gay to drinking arsenic, and equating homosexuality with pedophilia? Because those are the very messages that can lead to or exacerbate mental illnesses among LGBT* kids and adults. Racism: Institutionalized racism is alive and well and this is seen even in our mental health care system. People of color are less likely to receive needed mental health care and “often receive poorer-quality care.” If, therefore, the Church is going to commit to picking up the slack for our broken mental health care system, it absolutely must stare racism in the face and say, “Our hope for mental health will prioritize people of color.” But there’s a problem: American evangelicalism has its own racism problem. From ignoring the racism of “Duck Dynasty” star Phil Robertson, telling children of color to ignore their experiences, overlooking minority leaders in Christian churches and institutions, viewing church planting in colonialist and imperialist terms, to racist stereotypes expressed at a conference hosted by Rick Warren’s very own Saddleback Church, American evangelicalism cannot make people and communities of color feel safe or welcome in its mental health movement if it does not face its own evils. So while I am glad churches are starting to take mental illness seriously, they need to take seriously how their structures can fuel it. This means that we must talk — immediately, and not later — about problems like abuse, racism, LGBT* discrimination, and even poverty and sexism if we are going to change anything in any significant way when it comes to mental health. And when we talk about those problems (and when we talk about mental health in the future), we need to include in these conversations those groups that have long been marginalized by the Church. If we are going to expand our vision of hope for mental health, the Church cannot be content to say “Have hope in your brokenness.” The Church must commit to re-examining how it contributes to brokenness. We can commit day after day for the rest of our lives to take other people’s broken legs seriously; but if we do not also commit to stop breaking people’s legs, our first commitment rings hollow and cruel. 5. 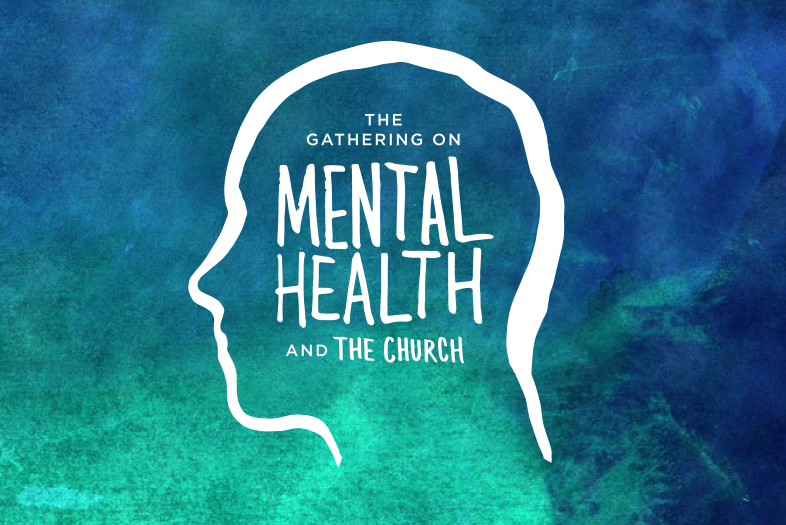 The Gathering gave me hope for American evangelicalism’s ability to re-think mental health because it included people like Amy Simpson and Matthew Stanford. But I have great skepticism because of Rick Warren’s closing session. If Rick Warren’s effort to make the Gathering happen is an indication that the Church might start taking mental health seriously, Rick Warren’s own talk at the Gathering is an indication of exactly why pastors need to stop pretending to be mental health experts. The Gathering felt like one giant step forward for the Church’s record on mental health. 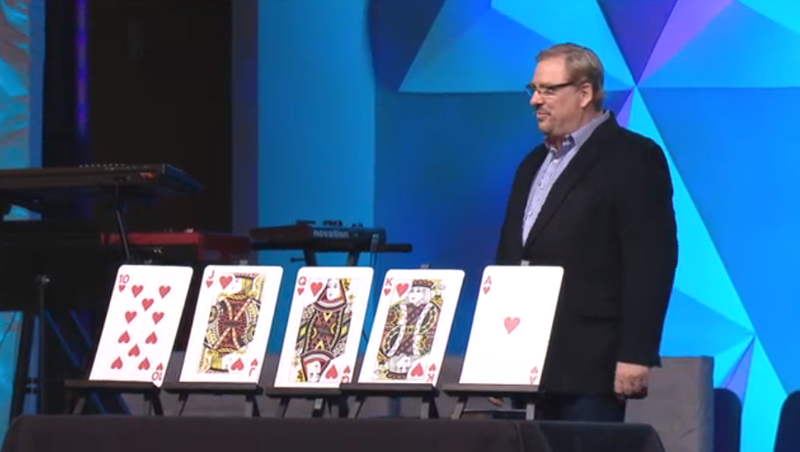 A step forward, that is, until Rick Warren gave the closing speech of the event. His speech honestly made me feel physically ill. It felt like he took the Church’s one giant step forward and replaced it with two nauseating steps backward. Almost immediately upon starting his speech, Warren joked that men should tell their wives they are “wonderfully complex,” and women should tell their husbands, “You’re not.” After all the progress that was made during the Gathering on establishing what is safe and unsafe to say to those who suffer from mental illness, this floored me. Joking about men’s lack of complexity is exactly the sort of joke that stigmatizes men from talking about mental illness. Joking about women’s “complexity” is exactly the sort of joke that marginalizes the reality of mental illness among women. What all these mantras failed to capture was just about everything else contained in the Gathering. Mental illness is not bemoaning, it is not fake “brain pain,” it literally does prevent connection, it actually prevents you from being happy (no matter how happy you choose to be), and most of the time happy Jesus pictures do jackshit. In other words: If Rick Warren’s effort to make the Gathering happen is an indication that the Church might start taking mental health seriously, Rick Warren’s own talk at the Gathering is an indication of exactly why pastors need to stop pretending to be mental health experts. 6. My final thought is a question for my readers: How big is your hope for mental health? Is it as vast as Jesus envisioned the Church, or as limited as evangelicals have envisioned those welcome in that Church? My hope for mental health is as expansive as the arms of the Jesus that I read about as a child — arms outstretched so wide that they can encircle the world. I want to see a hope in others that does not content itself with only baby steps, with admitting what is tragically controversial but ought not be: that mental illness is real and something no one should be ashamed of or afraid to talk about. I want a hope that moves beyond fear and into action. We need to bring to the table and include in these conversations every individual and group that has not felt welcome: women, children, abuse victims, people of color, individuals in poverty, LGBT* teens and adults. If we are not including those individuals and groups most vulnerable to and impacted by mental illness, we are missing the point. Conversations about mental illness aren’t just for the privileged few who are welcome at suburban mega churches — or even for those who can still stomach church. These conversations are for those who suffer, and especially for those who suffer in silence and through marginalization. If the Church wants to take mental illness seriously, then it needs to take seriously its appalling treatment of abuse victims. It needs to take seriously how LGBT* individuals who are not supported by their parents and communities have a higher likelihood to suffer from depression, substance abuse, and suicide. We can say, “It’s ok to be depressed or suicidal” ad nauseam to LGBT* kids, but if the Church’s message itself is the cause of that depression or suicidal ideation, how can the Church be trusted? We can say, “It’s ok to have PTSD” to abuse victims, but if we don’t take their claims seriously or keep pushing them away, will they even feel safe walking into a church? Jesus is not our Zoloft. And I will not put up a picture of Jesus on my fridge and hope it makes me or you temporarily feel better but then worse in the long run. I will commit to speaking up about my own mental illness and loving and supporting those around me who similarly suffer. And when I have strength, I will commit to doing my part to tear down those power structures that are pushing so many suffering people out of the Church, those ideologies and prejudices that cause suffering in the first place. I will not do that because the Church needs to capitalize on the Nones or because Jesus is garlic and mental illness is a vampire. I will do that because loving one another and fighting oppression is the right thing to do.